Doc-Tags takes the complexity, the expense and the resource intensive process out of adding contextually accurate document description tags for Text and Word (.docx /.txt) files. In a typical document publishing process, the author or assigned subject matter expert reads / re-reads the document creating a list of Keywords they interpret that accurately describes the contents of the document. Doc-Tags removes this time consuming, tedious and subjective process. Using advanced linguistic Artificial Intelligence and Machine Learning processes, found in the xAIgent RESTful API, Doc-Tags harnesses the RESTful web service - xAIgent, to provide subscribers with an effortless software service for extracting contextually accurate key terms (tags) from any subject matter Word or Text (.docx / .txt ) file. 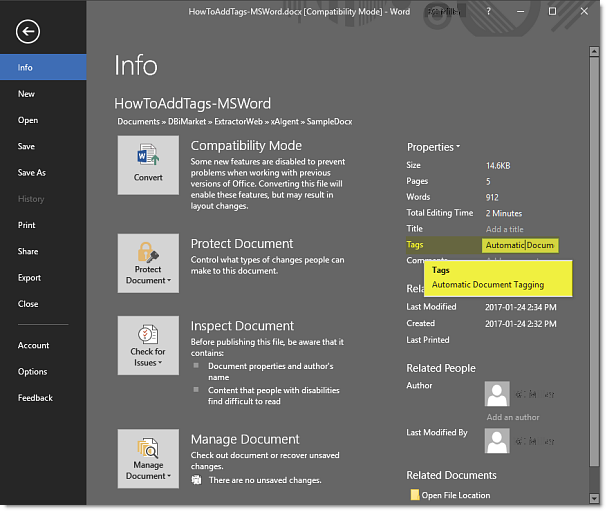 And, with a paid subscription then inserts those Key Terms [Tags] into the Document's Tags property. Contextually Accurate document tags are critical elements when readying content for inclusion into an enterprise document management system (DMS) or an online Content Management System (CMS). 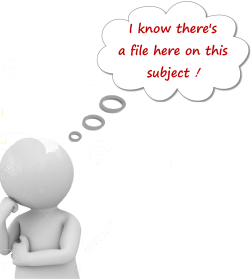 Ever find yourself searching through a file explorer looking for a document you know is there? but it's just not presenting itself. You know there's information in one of these documents on 'this' subject - where is it? The file name must have some resemblance to the topic. Documents prepared with contextually accurate Content Description Tags allow for that document and subject matter to be searched and surfaced instantly. Tags are the key to unlocking the full potential of the subject matter and the content enshrined in the document. Adding 100% objective and contextually accurate Tags (keywords) to a document supports the W3C semantic web standards for online document publishing. Enhancing your documents with their own set of 100% objective, contextually accurate key term tags allows for accurate localized searching of documents based upon specific areas of interest and subject matter. The Doc-Tags subscriber is provided with the search and reporting facilities to appropriately find documents that contain similar subject matter. Comparing and accurately investigating content for specific subject matter terms and references is now a simple key word search. Yesterday will the be the last day you re-read a document to find and re-affirm its value. Entering documents into an Enterprise Content Management System now become accurate and a snap to do. Doc-Tags is your answer to secure, private, key term tagging for Executive-level documents.